I saw this sign in the foyer of a Crowne Plaza yesterday. 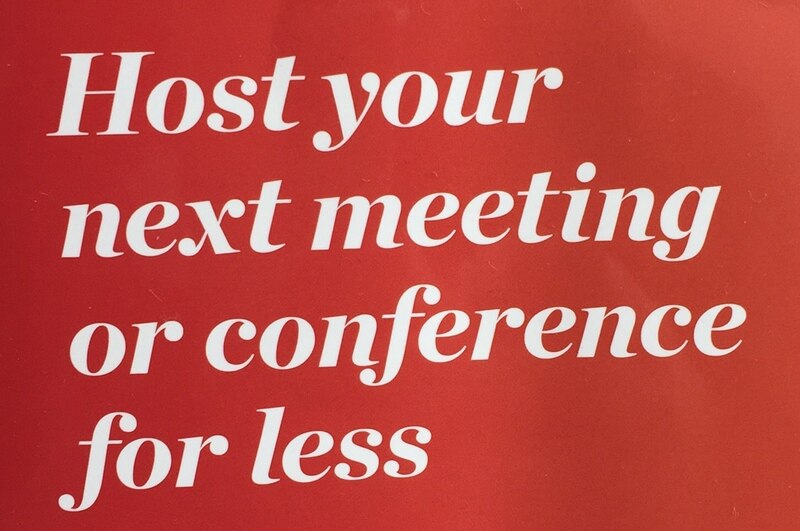 This reminded me of how much emphasis is put into reducing the cost of meetings, and how little, by comparison, is put into leveraging the benefits. If businesses could really harness the people power in meetings then I think they would think very differently about how they invest in them – less money on flashy venues and production, and more on designing the substance of the meeting, and how to drive commitment to action afterwards. 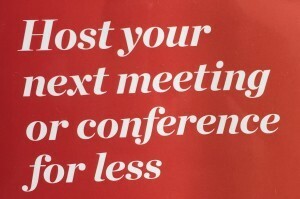 Come on business leaders – start demanding more from meetings!! !